Below is an excerpt from my new book, “The Time Diet Time Management for College Survival.” This section deals with one of the common pitfalls of college: procrastination. 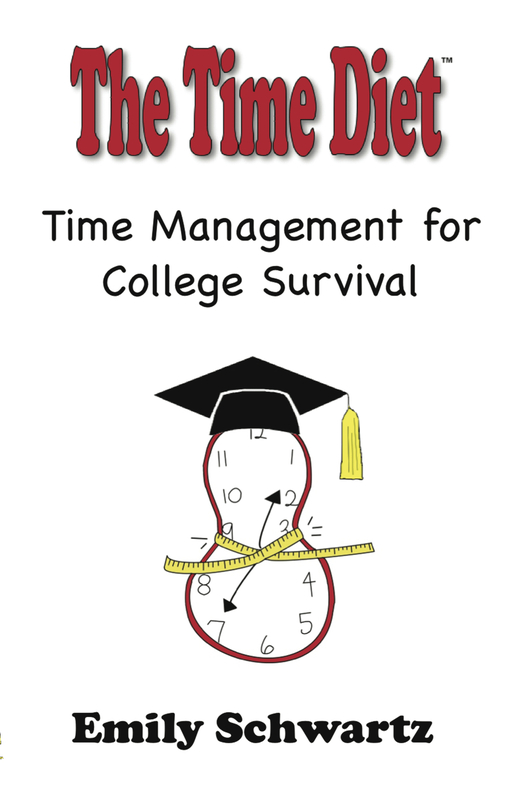 Don’t let poor time management skills affect your favorite college student. Pick up your copy today on Amazon.com for only $11.99! “Sometimes we procrastinate because we can’t find the time to get everything done. However, there are other times we procrastinate because we just really really don’t want to do our homework. We know we should work, but work isn’t fun and watching college sports and reality T.V. is. Don’t worry. You’re not alone. Even the best students feel like this sometimes. Here are some ways to motivate yourself to do homework you just don’t want to do. The best way to combat laziness is to break up a Meat task into smaller pieces and tackle them one piece at a time. For example, if you have a research paper to write, you may not want to start it because it seems like such an immense task that you don’t have the energy to tackle. Watching TV, going to the gym or getting a root canal all sound more appealing than starting something so overwhelming. Instead, break the large project into smaller chunks that are more manageable. Instead of saying “I’m going to start my research paper today” say, “I am going to start my research paper today by compiling a bibliography of library sources.” Setting smaller daily goals makes a large project feel more approachable. We can all agree, there are a ton of things in life that are more fun than doing hard work! Instead of having the mindset that your work is preventing you from doing something fun, just re-frame your thinking. You are still going to both have fun and get work done today, but you are just going to switch the order around a little bit. When you finish compiling your bibliography for your research paper, then you are going to reward yourself with a 10-minute chill-out session with your iPod, or run over to the Student Center for a smoothie. Be creative with your rewards. Rewarding yourself with a lengthy break or Dessert task every time you finish a difficult chunk of work is not always practical. Instead, be creative with your rewards, particularly if you are trying to save money and a java mocha chiller just isn’t in the budget every time you need a pat on the back. A reward can be as simple as stepping outside for some fresh air, eating a few jellybeans from your drawer stash, or texting with a friend. Finally, remember that putting off your homework won’t make it go away even though you really wish it would! ← Time Management is Like a Box of Chocolates?